We invite collectors and art-lovers into our artist studios. 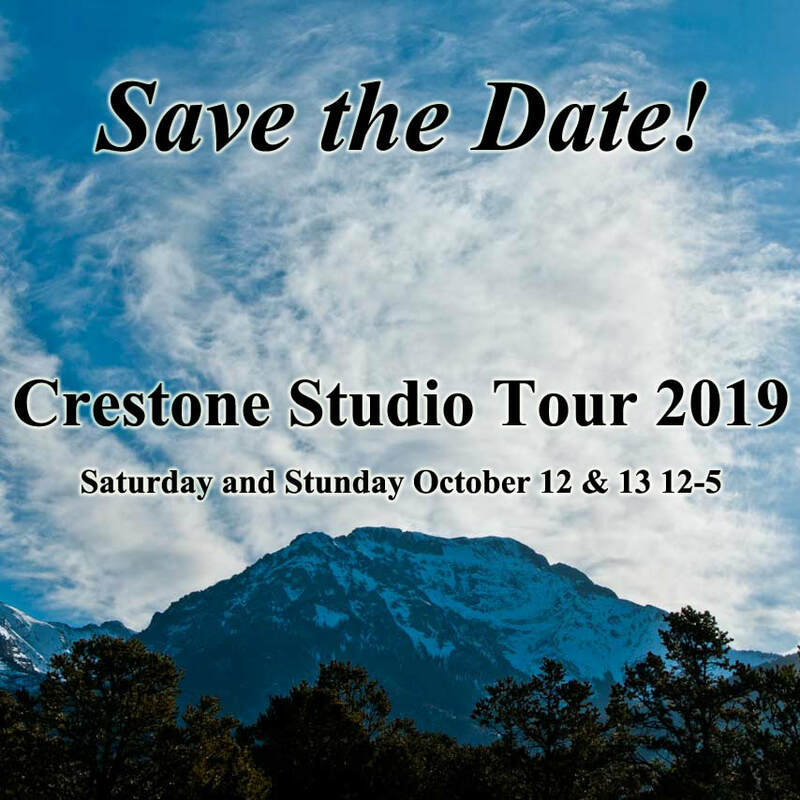 This event is organized to enhance recognition of the contemplative art community in Crestone and to allow locals and visitors to enjoy the visionary quality of work being produced here. Meet the artists and preview samples of their work on Friday October 11th from 5 to 7pm. Location TBA. Tour catalogs available at local businesses and in October issue of the Crestone Eagle.